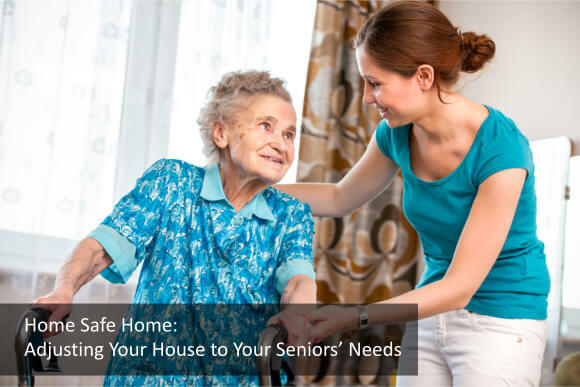 Your house is the area of responsibility of your non-medical home care in Opitz Boulevard Woodbridge VA. One of their priorities is that if they are to provide home care, then the house must itself be safe for their living first. This means they have to do some rearrangements and adjustments in the house to make it safe for your loved ones. OptimumCare Home Care Services,where patients are referred by their physicians for non-medical home care in Opitz Boulevard Woodbridge VA and non-medical home care in Greensboro Drive Mclean VA, have listed down these areas of concern in your house that you might plan ahead or plan with us as we transform your house to for a safer senior living. Tack/paste electrical cords/cables that lie across pathways to the walls. Ensure the good grip of the flooring. Change slippery textiles or get a floor-stick carpet or rubber flooring to avoid accidents. Put on nightlights on bottom areas of walls so that your senior family members can see their way around if they need to walk around the house at night. We, at OptimumCare Home Care Services, can provide you with the best non-medical home care in Opitz Boulevard Woodbridge VA! Our non-medical home care professionals can provide you with everything that is stated above, but not limited to it. Contact our office today and make a difference in your elderly loved ones’ lives!